This site and all the MS Excel training we offer has been based on our proprietary free MS Excel Skills Assessment. 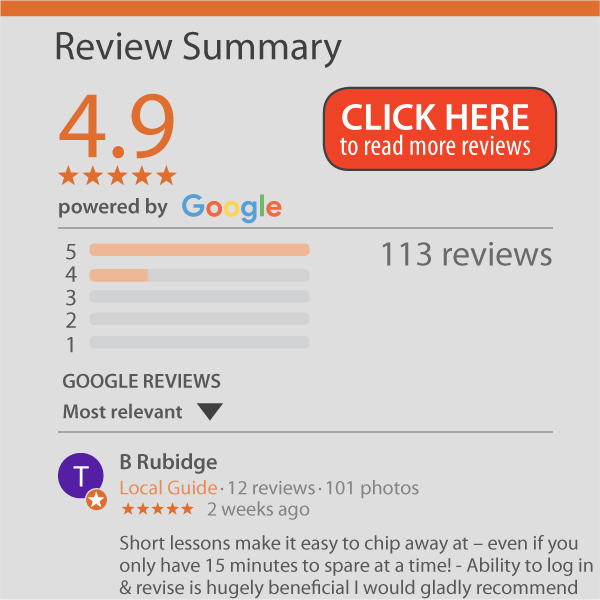 The Excel Skills Assessment will make sure that any Excel course you do with us is at the correct level and covers the Excel topics you need (the average score at the moment is Intermediate at 4.7). Below a brief video clip on the Free Excel Skills Assessment, how it works and the report you will receive. Read more about it and other options further down, or click below to just try it out (NEW– online version now provides an instant report- no more waiting for the questionnaire to be scored). If you already think you know your Excel Skill level, and prefer attending a course and live in South Africa look at the Johannesburg MS Excel 3 Day Advanced Course or the Cape Town MS Excel 3 Day Advanced training course. If you prefer online learning or live outside South Africa, look at our online MS Excel training courses. MS Excel is too big to know everything. Even the experts generally have an area of expertise. It is better to know the features that will help you with your CURRENT requirements! which course is best given what YOU are currently doing in Excel ( go to the ‘Which Excel Course to do‘ page). These questionnaires are available for individuals or groups with an online version for quick answers and offline for more detailed reports. 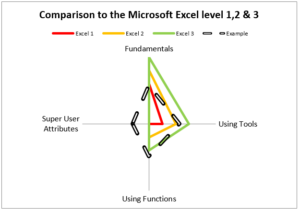 As shown in the video above, the free MS Excel Skills Assessment assesses the person’s aptitude for Excel learning and allows you to match your Excel skill level to the correct training material. The report (click on the adjacent image to see an example) you will receive shows how you score against the various skill definitions and will identify where you need to put in a bit more work (e.g. you use the Excel tools really well, but your functions are weak). You can choose to do the questionnaire online and get instant feedback (great for individuals) or else download the spreadsheet for use offline or if you want to have a group of people evaluated.